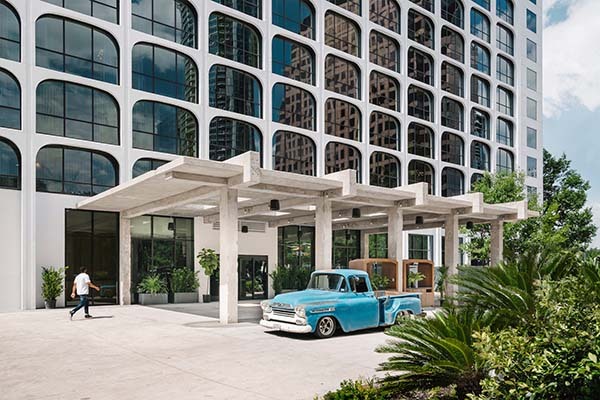 Situated close to Town Lake (aka Lady Bird Lake)—a river-like reservoir on Austin’s Colorado River—and the city’s energetic Downtown, the Sydell Group’s third LINE hotel continues in the vein of their Los Angeles Koreatown flagship and LINE DC in embodying the singular spirit of its surrounds through collaborations with local creatives and a commitment to respecting the neighbourhood it now inhabits. 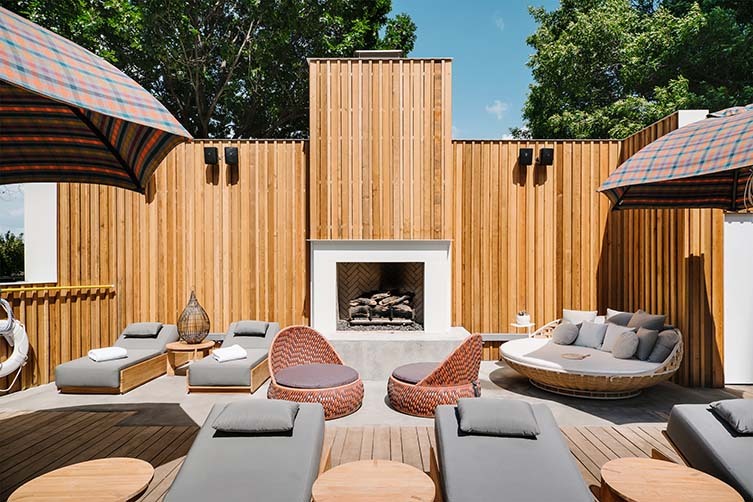 Beginning life in 1965 as The Crest Inn, the modernist mid-century building that houses LINE Austin is as much a cultural gem to Austinites as it is a fixture on the city skyline; live jazz dance venue, Club Seville, and radio station KAZZ-FM having once called this place home. 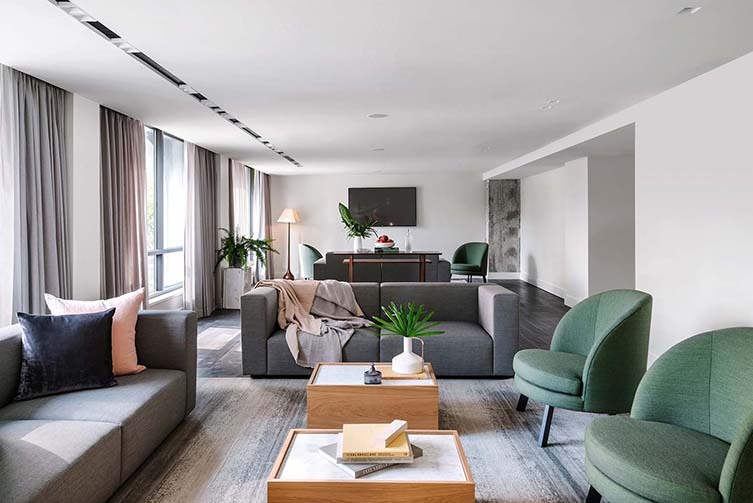 With 428 guest rooms that balance old and new elements with minimalist design, exposed concrete columns, and expansive lake views, designer Sean Knibb and architect Michael Hsu were keen to blur the lines between indoors and outdoors in their extensive and handsome renovation—using the surrounding lake and a range of textures and materials to create a cohesion with the natural world; enhancing its immediate environment with a holistic design approach. 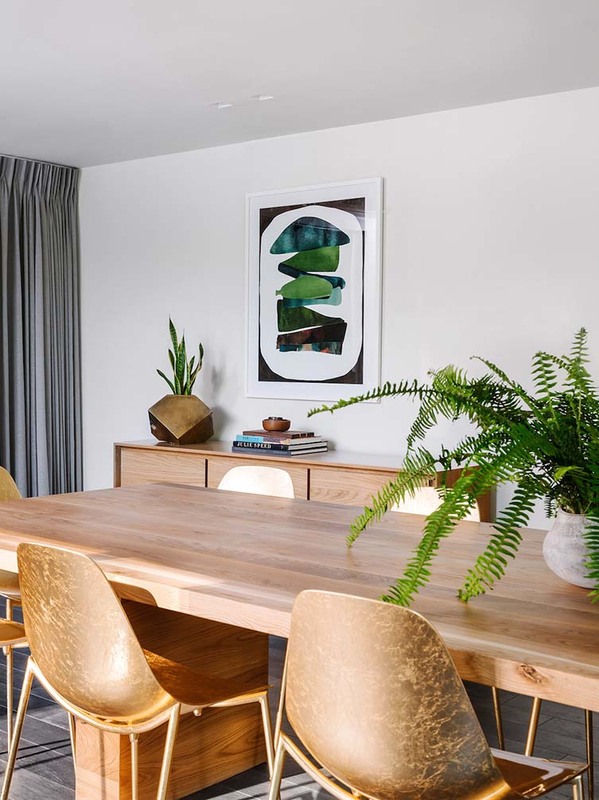 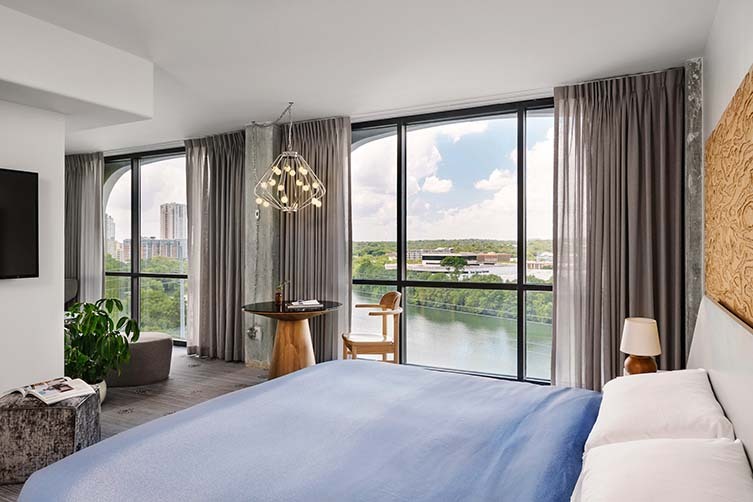 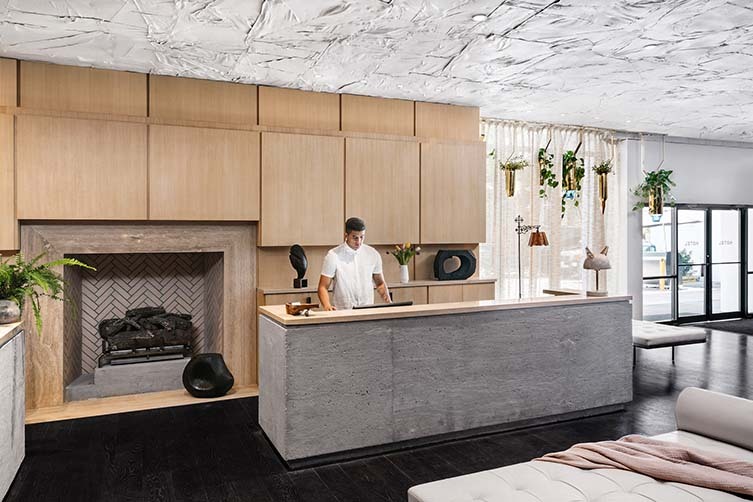 LINE Austin features over 500 original pieces of art in guest rooms and public spaces, a fundamental philosophy of Sydell’s ethos in collaborating with the city’s emerging artists and non-profit arts scene. 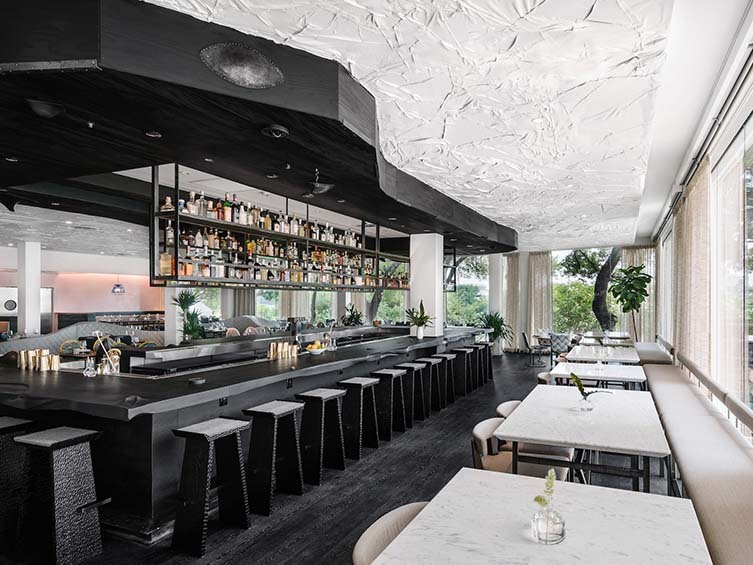 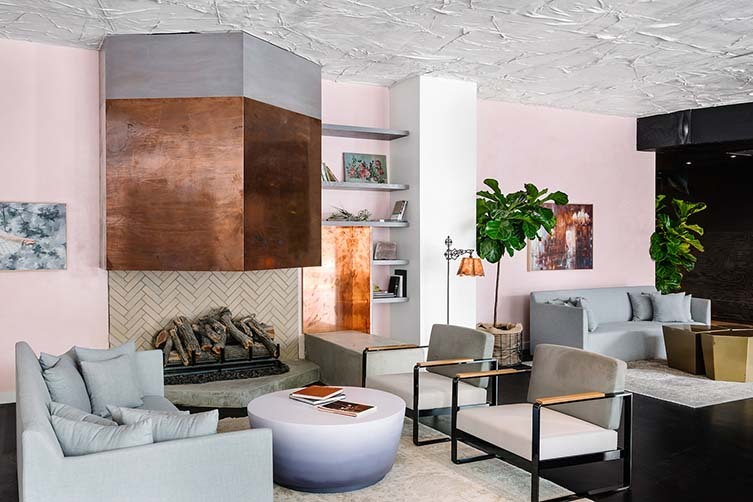 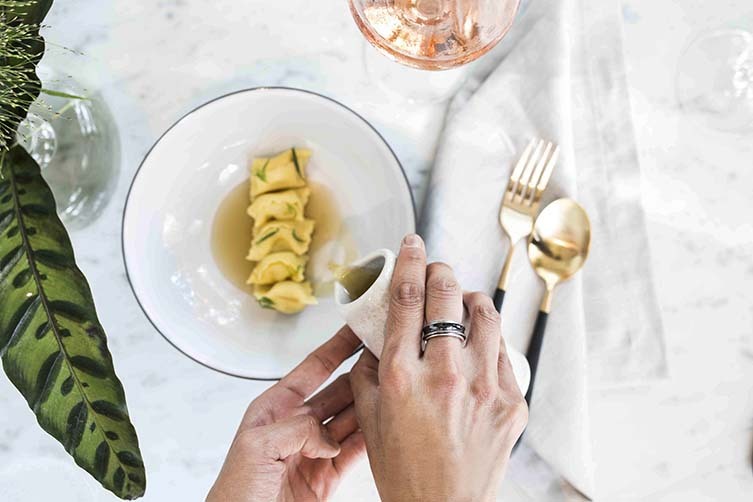 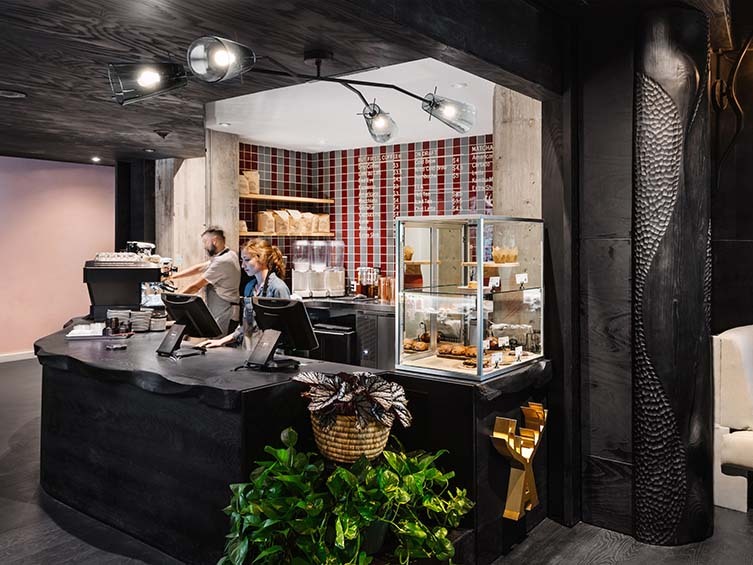 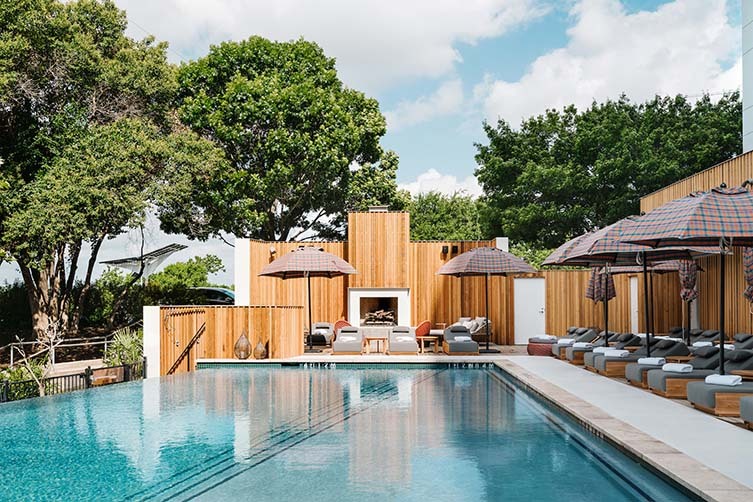 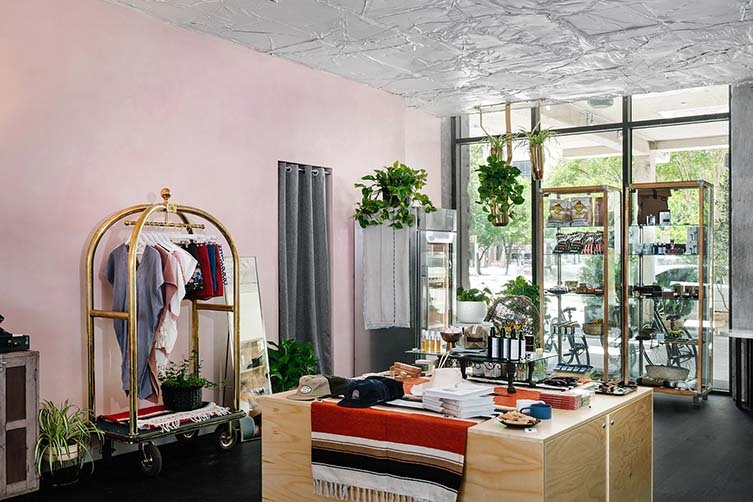 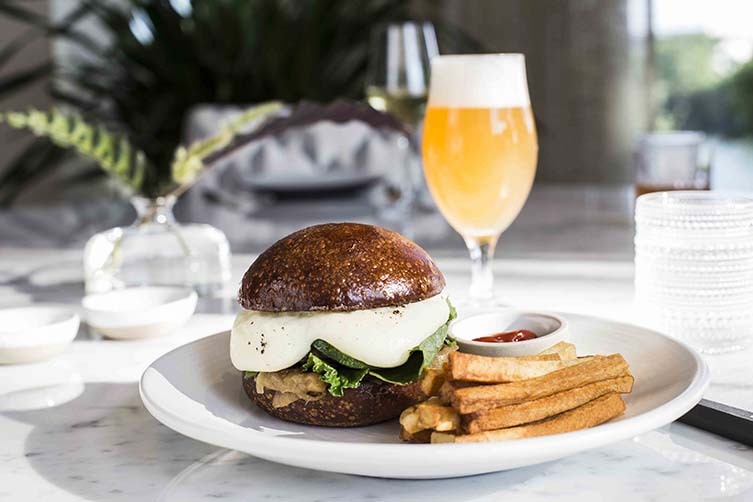 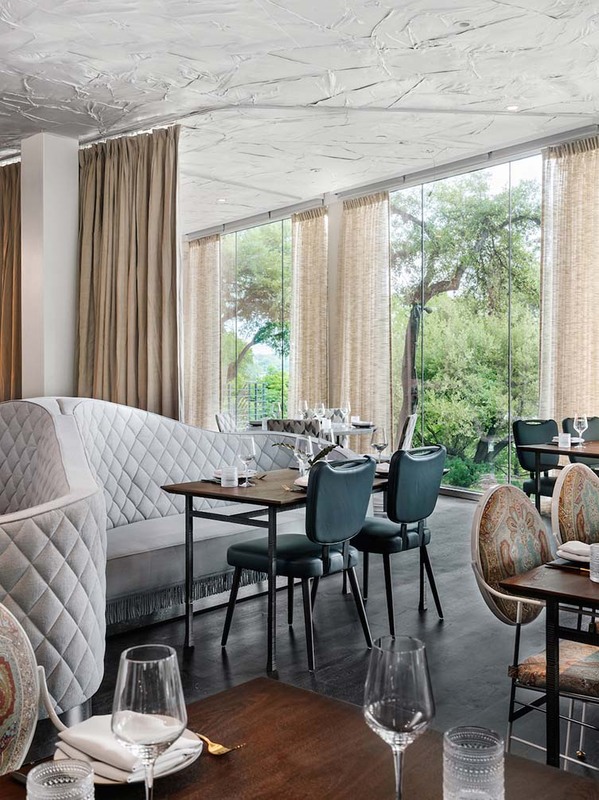 For the discerning hungry, Arlo Grey, a lakeside eatery headed by Kristen Kish and serving French- and Italian-inspired dishes—has launched with the hotel, whilst daytime food and drink comes courtesy of an Austin outpost for the much-loved Los Angeles-based Alfred Coffee. 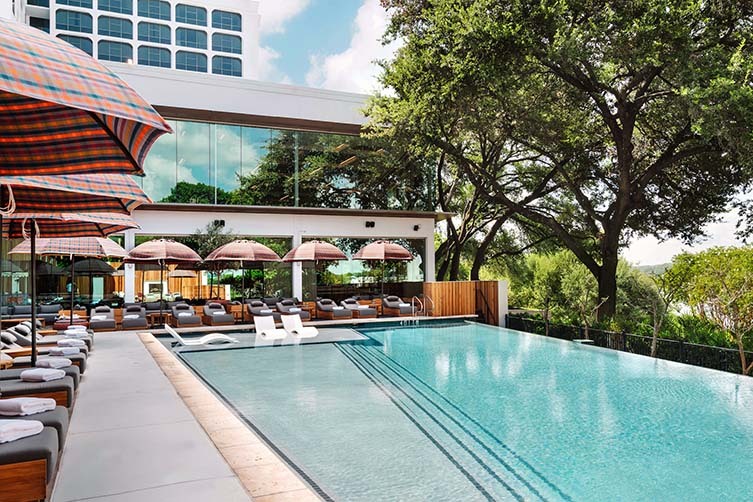 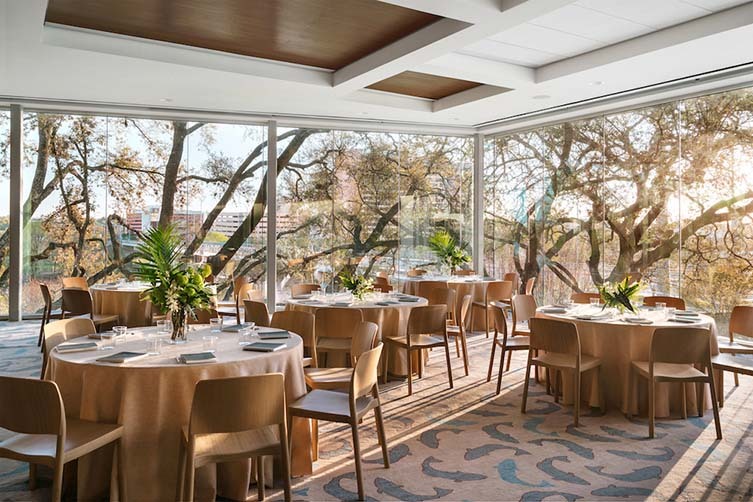 The hotel’s greatly-anticipated rooftop bar with panoramic views of the lake, P6, will open later in the year to complete this staggering addition to the cultural landscape of the hip Texan city.